It is fascinating to me how easily one can fall into the habit of relying on others for the things we want and need. I am constantly preaching the gospel of preparing food at home, from scratch. It is the heart and soul of my cookbook and of all the classes that I teach. I even get on my soap box about the ‘lack of time’ argument, citing statistics about how many hours of television the average American watches per day (that would be 4!!!). Meanwhile, I too rely on the prepared foods of others to get me through the week. I am a tough customer, and realize how spoiled I have been living in the Midwestern mecca of sustainable, local, organic, handmade, hip and delicious. I have already suspended many core value such as buying only organic, sustainably raised whole foods, and recycling and composting all packaging and food waste. But I can only go so far. I have decided to take advantage of the time I am lucky to have to provide some of these missing items to my family by producing them myself. First item on the list: Bagels! 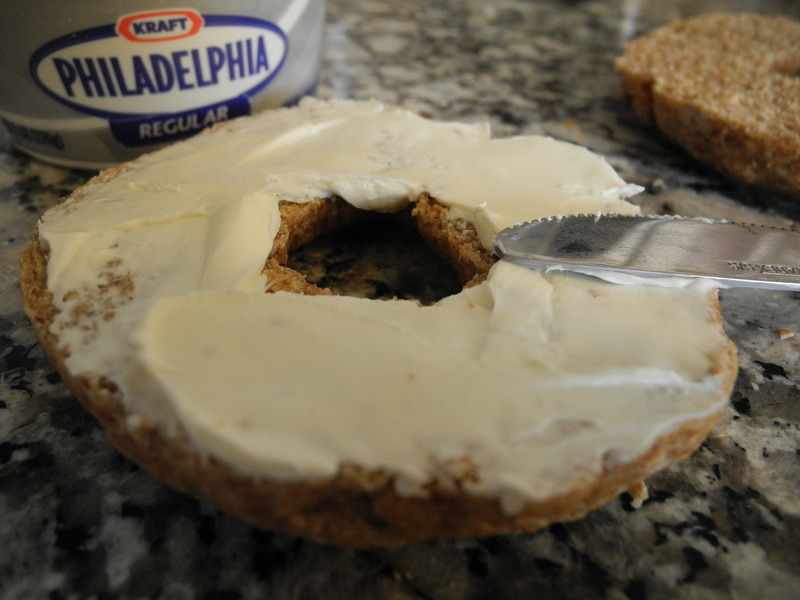 After a quick internet search, I found a simple bagel recipe. Essentially it is a basic yeasted dough recipe with one unique step. Between the rising and the baking of these circles of dough, they are boiled. This recipe was quite simple, it completely eliminated the first step of starting the yeast in water and went right to combining it with everything (dry and wet) and mixing together to form a firm but pliable dough. I adapted this white flour recipe with a combination of whole wheat flour, bran and unbleached flour. If you are comfortable with whole wheat dough, this works just fine. 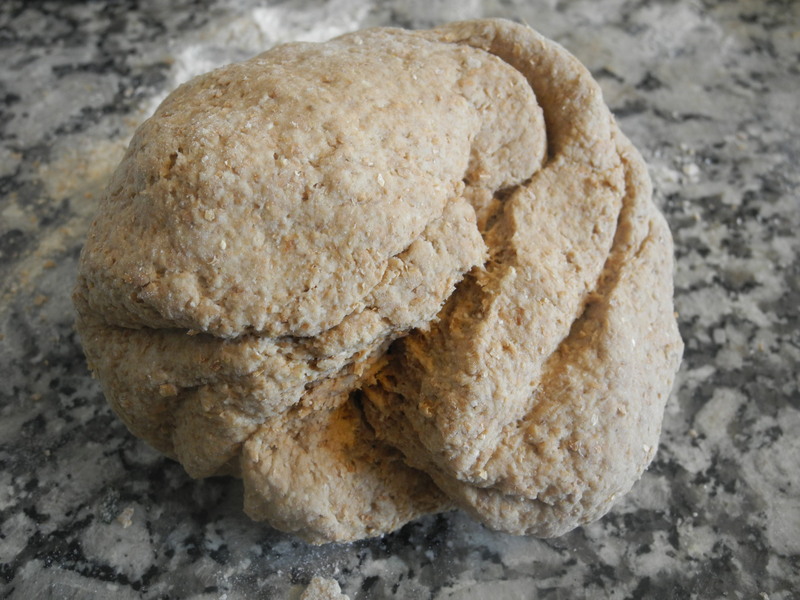 After kneading the dough, it is rolled into a thin log and then formed into a circle. The recipe suggests wrapping the dough around your hand, and for a stickier white flour dough this is probably best. 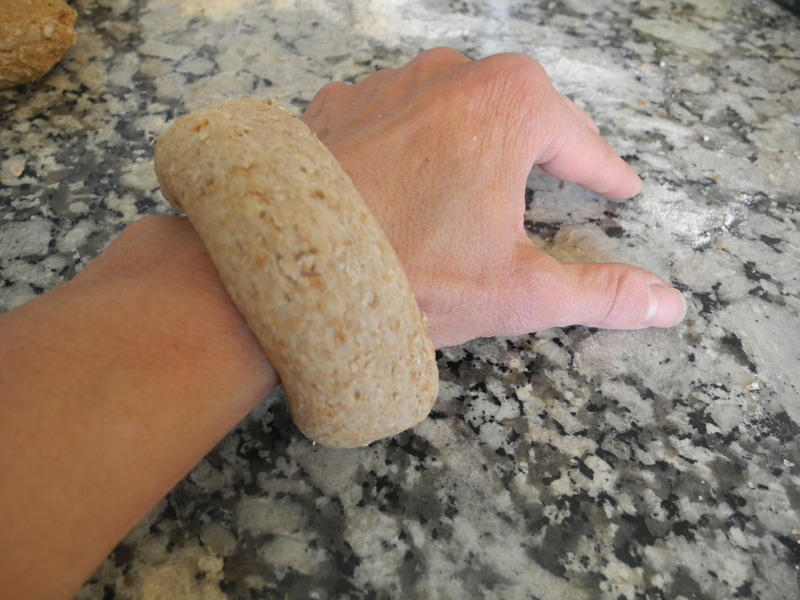 I used my wrist, but probably would have been fine simply making a ring with the dough. 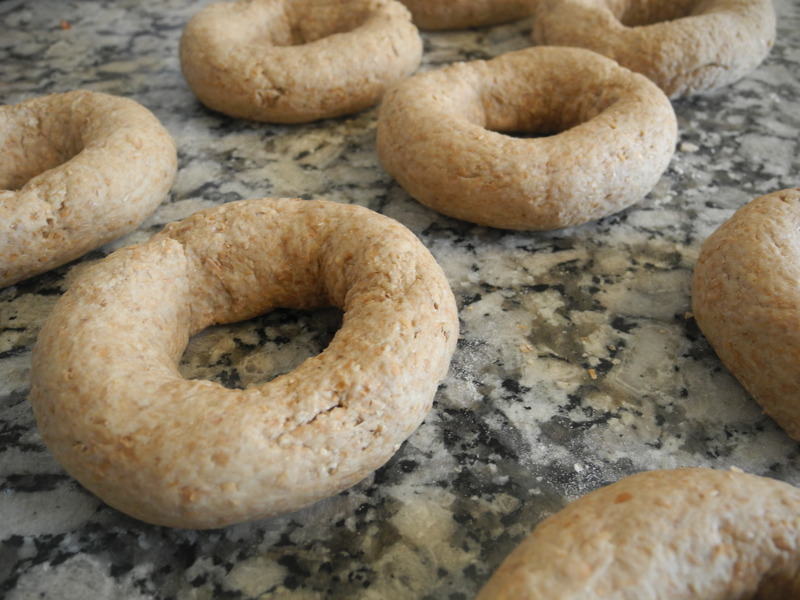 In any case, it was fairly straightforward to form rings of dough. This is where the fun part comes in. 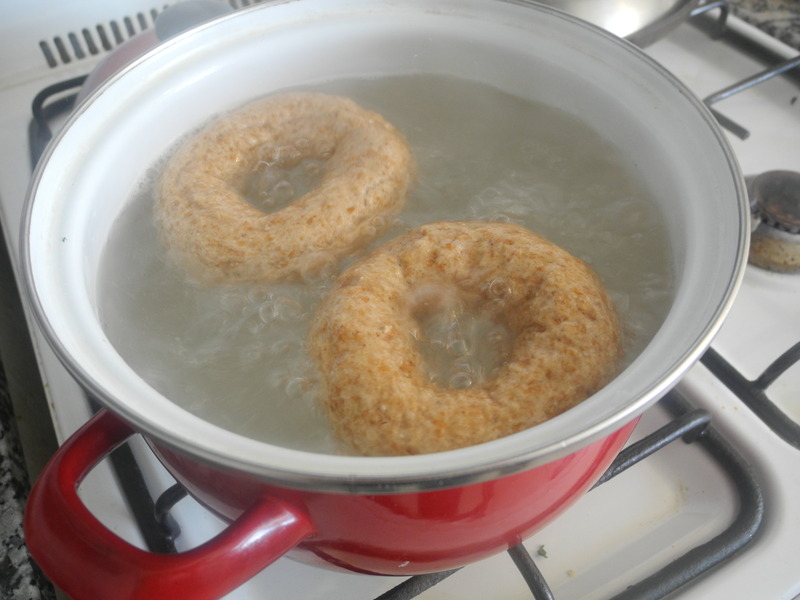 After these rings rise a bit-about 20 minutes, they are dropped into boiling water. 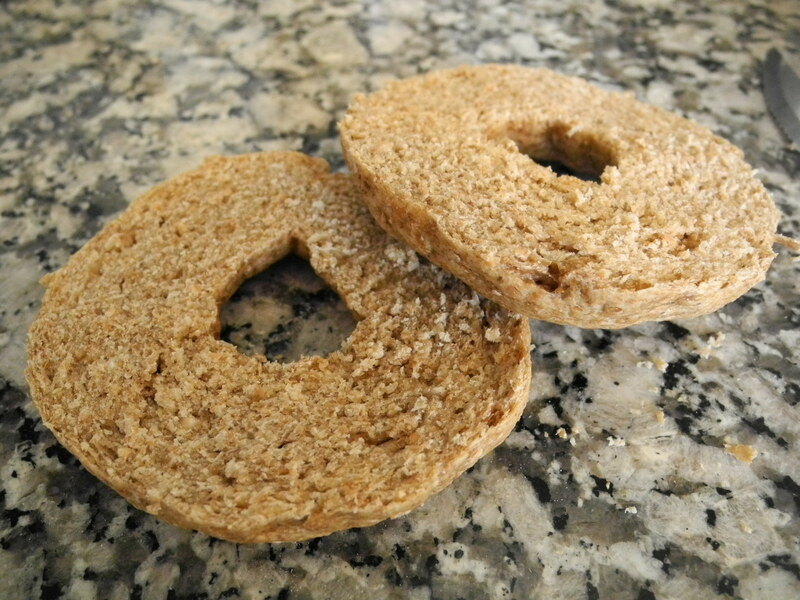 This activates the gluten in the flour, and is what creates that yummy chewy texture that is classic bagel. They need to boil on each side for about a minute. It is easy to flip them as they float on the top of the water. I realized that if I intend to do this a lot, I might need a pot that will fit more than two bagels at a time. Once they are boiled, and have cooled, they are placed on an oiled baking pan and baked. Again, they bake about 10 minutes on each side, which gives them that lovely browned and slightly shiny look. Not only were these simple to make, they were fun and turned out quite delicious. I was so excited for the girls to arrive home from school so I could offer them one of their favorite snacks. Who knows, maybe they’ll make it into their lunches this week! moist and chewy, nicely browned and a decent circle too! Eat your heart out Common Roots! This day turned out to be a comfort food success! In addition to making bagels, I came across a vendor in the Mercado Central that sells bulk, all natural PEANUT BUTTER! 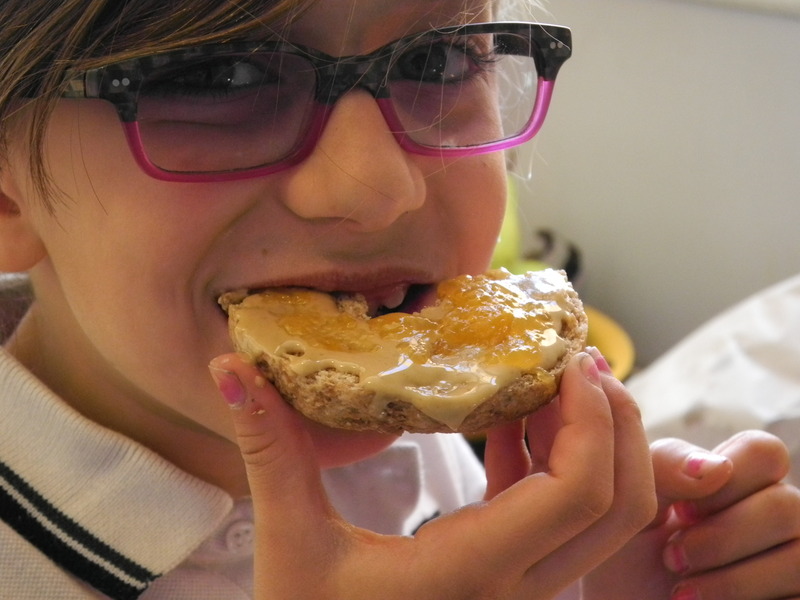 It was a double treat-one half bagel with cream cheese, the other half with peanut butter and jelly! Happy kids! Rather than starting the yeast in water, this recipe simply combines all the ingredients together. Add the water last in order to achieve the proper consistency of the dough. It should be moist but not sticky. Knead for 5-10 minutes until firm and then divide into 8 pieces. Let those rest for 10 minutes. When ready, roll each ball into a thin snake just wider than your two hands. Form this into a ring and pinch to secure the ends. 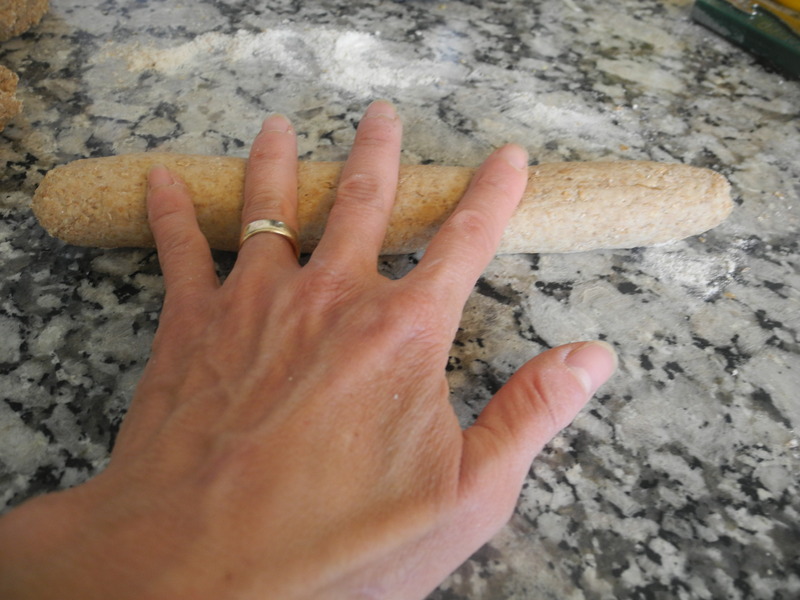 If using mostly white flour dough, it is helpful to wrap around your palm or wrist because the dough will be flimsy. It is a fairly straightforward process otherwise. Let the rings rise for about 20 minutes. Meanwhile, boil a large pot of water and prepare an oiled baking pan. 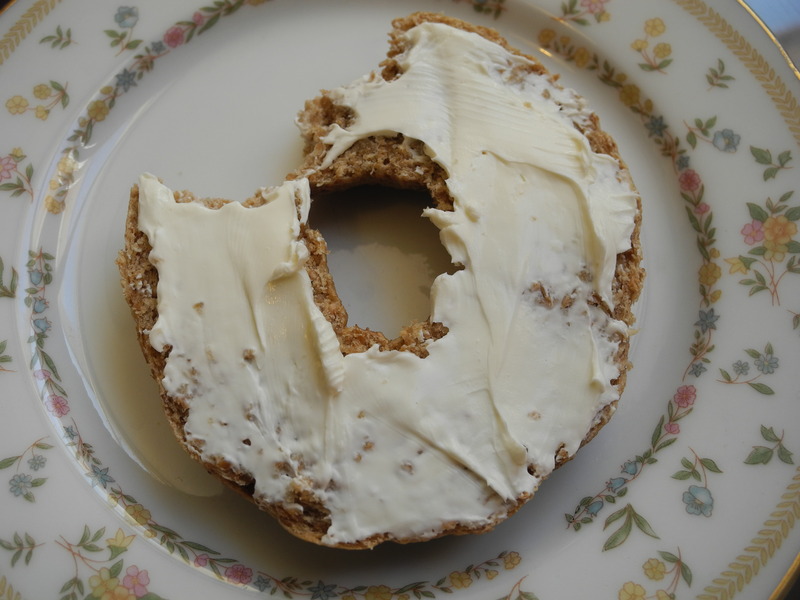 When proofed, boil each bagel in water for about 2 minutes, one on each side. A slotted spoon or spatula works well-they will float at the top. After 2 minutes, remove and let cool for about five minutes before placing on baking pan. Bake in 425 degree oven for 20 minutes, 10 on each side. *For variations with toppings (caraway, sesame or poppy seeds are yummy) either place top down after boiling in a tray of seeds, or brush with an egg wash and sprinkle seeds on top. Cool! You’ve inspired me to give this a try. Awesome Bruce, let me know how they turn out! 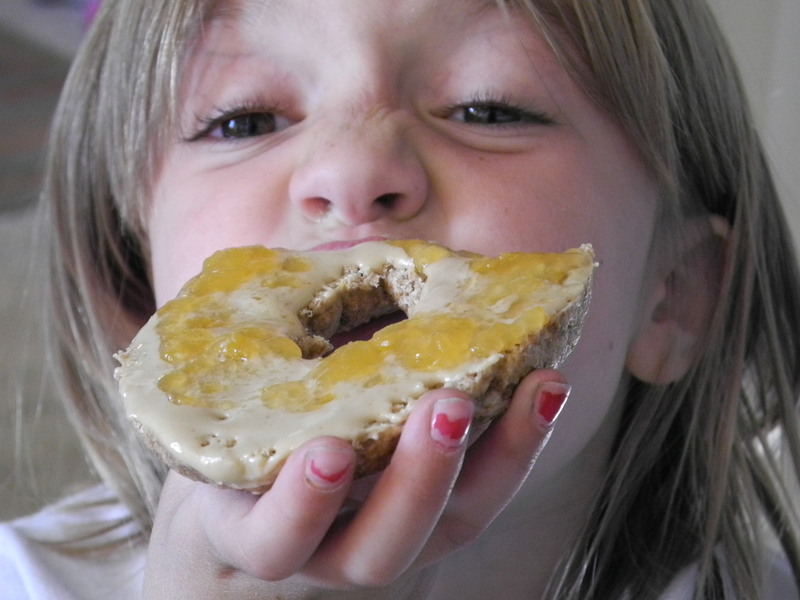 I’ll bet the kids would enjoy making the bagels too! Thank you, THANK you, THANK YOU! My manfriend and I moved to Mendoza about a month ago and I am sick and tired of all the meat and “french fries”. I had no idea how spoiled we were living in Nashville, TN with all the local produce and international markets a girl could dream up. Your blog has given me hope (and some great ideas) that I will be able to prepare delicious healthy food once more!! How long are you and your family here? We would love to meet you and swap adventure stories sometime! Best of luck and please, keep writing! Hello Samantha-fun to hear from another healthy gringo! We are here for a year, until next July. Would love to meet you. Best is to email me at my yahoo address: jennybroccoli@yahoo.com. Where do you live? We are in the Qinta. Looking forward to hearing from you. I completely forgot how hard it was to find peanut butter when I was living in Buenos Aires – glad to hear you managed to find some! Also I’m totally inspired by your recipes for alfajores and double chocolate dulce de leche cookies – I hope to try them as soon as I can find some decent dulce de leche here in the Twin Cities!